Keep it relaxed, casual and Summery chic. 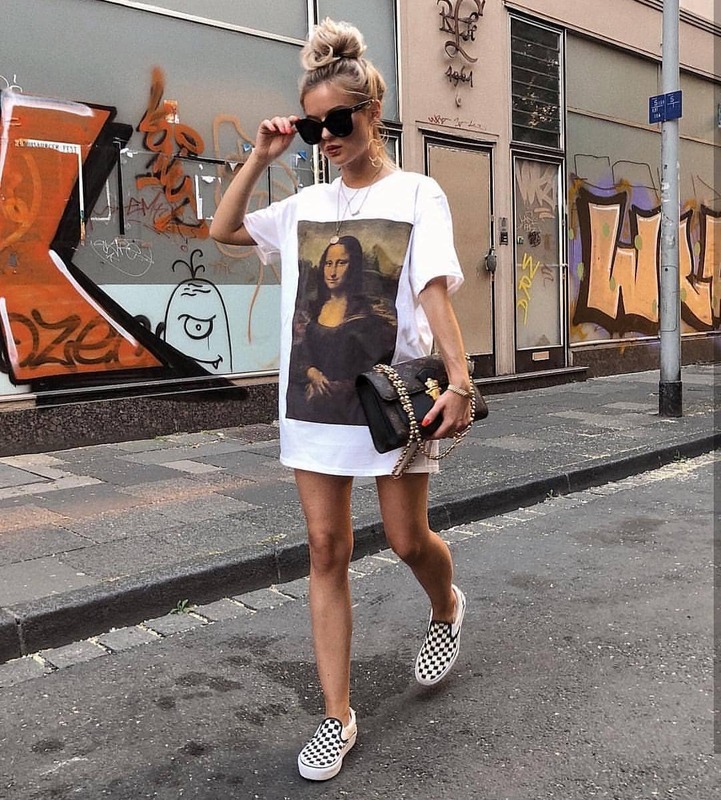 We see a white T-dress with Mona Lisa print worn with checkered slip-on shoes and oversized sunglasses. A cool way to make a wow effect on the streets this Summer.